When it comes to music, there are several types of instruments used in this modern era. There is the guitar, drums, saxophone, piano, trumpet, violins, and many more. You may also feel the urge of learning at least one musical instrument in your lifetime. It is true that learning some specific musical instruments may be easier than others. For example, if you decide to learn to play the drums, you will have to get a drum set for yourself along with a suitable place where you can learn to play the drums properly and without disturbing others. All of this combined can get quite costly and chaotic. However, if you learn to play the guitar, it will be a cheaper option for you and you can also learn the musical instrument in your bedroom. Add to that the fact that drums sets will occupy a lot of empty space and a guitar hardly takes up much space. If you take a look at the different websites on the internet, you will notice that there are several websites that help you to learn to play the guitar starting from the basics to the advanced stage. 2 of the top websites in this category are the Jamplay and GuitarTricks. When it comes to online websites that teach you how to play a guitar, Jamplay ranks amongst one of the top sites. It has a long list of phases that are related to learning the art of playing a guitar that can easily make you a champion at playing the musical instrument. 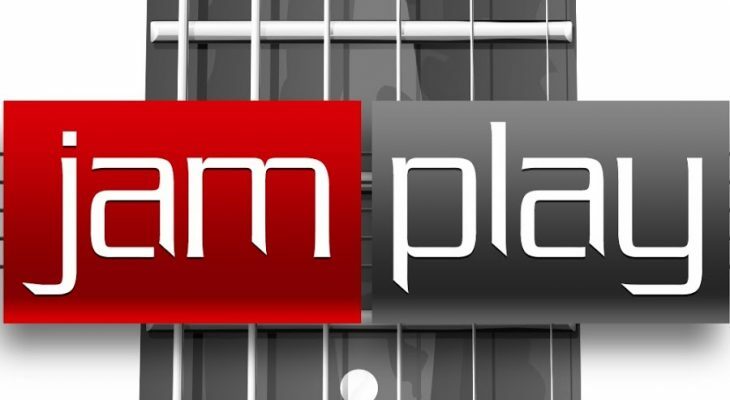 You will basically find 3 phases on Jamplay. These are Fundamental basics aimed at novices or first timers, Style training, and Learning on how to play various popular songs. The website also allows users to move with each tutorial in a peaceful and sensible manner. Jamplay offers a wide array of music for you. These include funk, acoustic, bluegrass, folk, blues, surf, jazz, world, and rock, to name a few. It is very simple for you to search and play your favorite song or music on this website. There are varieties at every skill level that makes it highly useful for guitarists at every level. The price for the online guitar learning course on Jamplay is highly affordable at $12 per month, along with an annual membership. You can subscribe to their newsletter that can get you the latest discount coupons applicable on the website. At present, there are just 40 guitar instructors on Jamplay that can easily get a bit confusing for those of you who wish to choose a specific instructor. The various tools and videos cannot be downloaded. Just like JamPlay, GuitarTricks can also provide useful online guitar playing instructions. It also has a wide array of music for learners such as Jazz, Rock, and acoustics. There are overwhelming array of videos on GuitarTricks. You will find multiple lessons that are both simple and of various styles. It is very simple for you to navigate the website for different guitar lessons. It is quite easy to download the videos from GuitarTricks. You can also get a different video player for these videos. The price at which the services are provided on the website is rather affordable. This helps many people fulfil their wish of learning the art of playing the guitar. You will also come across a 14—days free guitar lesson for those of you who uses the GuitarTricks free trail offer. You will find that the website offers discounts multiple times in order to benefit those of you who wish to learn guitar at a tight budget. Yu can also subscribe to their newsletter to get the latest GuitarTricks coupon that can help you start your lessons without spending a buck. There are approximately 4% guitar learning videos on GuitarTricks that are pretty old and do not have any use in this modern era. It can safely be said that comparing Jamplay and Guitar Tricks clearly proves that the latter is a clear winner. If you wish to learn how to play a guitar, you will need to think as to how sincere you actually are in your urge to follow your dream. Once you are clear about your goal, the rest of the journey will be simple. If you are a bit tight on your budget, you can always look for suitable discount coupons that can be used on either of the 2 online guitar learning websites, GuitarTricks and Jamplay. Next Story Is Bluestacks Safe for Windows 10?